Explore Cairo’s mosques and markets on this half-day excursion. After a convenient hotel pickup, travel with your guide to El Moez Street. See monuments like Bab El Fetouh, a 1,000-year-old gate in the old city walls, and mosques like Al Azhar, Al Husseen, and El Aqmar. Check out the nearly century-old Khan el Khalili souk, the city views from Al Azhar park, and enjoy lunch included in the tour price. 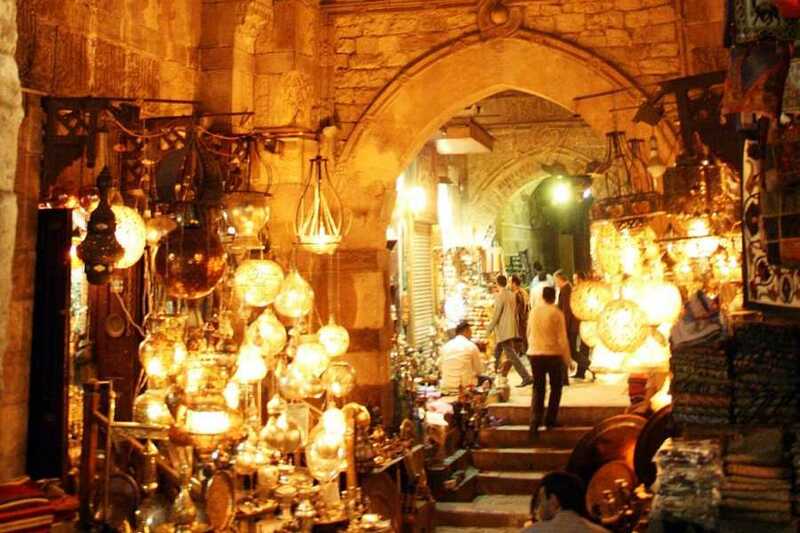 Visit Khan EL Khalili Bazaar which is one of the oldest markets in Egypt. where you find shops all around the street where you can buy Egyptian cheap souvenirs.